A new local TV channel for the Swansea area goes live today, becoming the 21st local TV channel to go live in the UK. 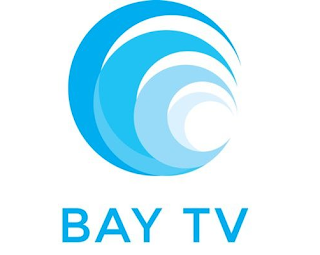 Bay TV Swansea, which is available on Freeview channel 8, is also due to appear on Virgin Media's cable network, where it has been assigned channel 159. The channel is not available on satellite. Welsh language news, motoring and property shows will also feature in the schedule, alongside a morning show presented by Gaina Morgan, a familiar face to BBC Wales viewers. Its broadcast licence, issued by Ofcom in June, confirms that Bay TV Swansea intends to launch a full 7 day news service in subsequent years, and widen the range of content that it provides to viewers. “We think television viewers are crying out for something new and here it is: Bay TV, your local television channel unique to South West Wales. “Nowadays, everybody has a video camera on their smart phone and our cutting edge digital studio can devour it without the technical problems that plague traditional broadcasters. Swansea is the second place in Wales to get a local TV service, following in the footsteps of Cardiff, where Made in Cardiff has been on-air since 2014. Bay TV Mold, an offshoot of Bay TV Liverpool, is yet to launch for viewers in NE Wales. The channel is available on Freeview channel 8 for viewers receiving their signal from the Kilvey Hill transmitter. 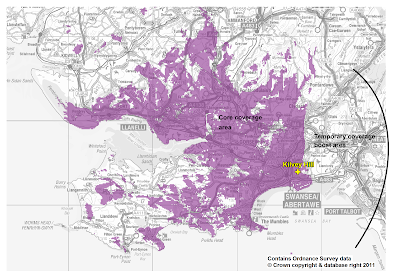 Originally due to cover just Swansea, Llanelli and surrounding areas, temporary permission has been granted to extend coverage eastwards into Neath and Port Talbot until the beginning of 2018, when Ofcom is planning to co-ordinate major changes to the terrestrial TV service. Bay TV Swansea is hopeful of getting a permanent coverage boost, which could see its signal reach as far as Carmarthen in the future with the proposed addition of a service from the Carmel transmitter. The initial temporary boost increases the potential Freeview reach from 72,000 to 126,000 households. Viewers with YouView (via BT TV, TalkTalk TV, Plusnet TV) or EE TV, living in the Swansea area should also be able to receive the channel. A retune may be required. Bay TV Swansea's Freeview signal is part of an additional multiplex of channels available to viewers in the area, operated by Comux, who oversee the technical aspects of getting local TV channels on Freeview. Viewers who retune should also be able to receive True Crime on channel 60 and Kix on channel 127, two channels who piggyback on the local TV signal wherever in the UK local TV is available.